Land of Israel sits on the border between the sea and desert wilderness. This narrow strip enjoys rainfall and springing water, surrounded on all sides by barren desert. The contrast between the desert nomadic inhabitants and the settled agricultural land, played a crucial role in shaping the people of the Holy Land. The virtues of the country were known as the “Seven Species”. Although the seven species are listed in the Bible by name, the name itself, which brings together the "seven species", was given first in the tims of the “Mishna”. In ancient times, when there were no preservatives or refrigeration, civilization would need to be based on the types of food that could be stored the whole year, even in month that fresh agricultural produce are unavailable. Produced wheat and barley, which produced bread, which were the main food of the Levant. Barley, socially inferior, was considered poverty food that served as food for cattle. Olive oil was used both for food and dried olives. Olive oil, known as "Yitzhar", recalled 216 times in the Bible - more than all other representatives of the seven species. In ancient times, olive oil was used not only for food but also as light "pure olive oil for lighting, bring eternal light" (Exodus). Greek poet Homer called olive oil "liquid gold", and olive referred in several languages as "gift from the gods". The great importance that lies, among other things, due to the climatic conditions in which of the region it is difficult to maintain animal fats for long periods, and therefore the olive oil became the main oil. First known use of olives began during the fourth millennium BCE (Chalcolithic), although olive was found in archaeological excavations from the late Neolithic period that suggest that it was grown some 7,000 years ago. It is generally believed that the domestication of the olive, along with grape, fig and palm, was one of the first agricultural crops to be domesticated. The olive tree lasts a long time, until today, Israel has olive trees hundreds of years. This is the first tree mentioned in the Bible after the Flood, "When the dove returned to him in the evening, there in its beak was a freshly plucked olive leaf!" (Genesis). Children of Israel immigrated from Egypt find olive groves when entering Israel. The olive tree is considered the king of trees, parable of Jotham (judges 9. 8-10), and its importance can be seen from the fact that olive trees have become a symbol of the eternal relationship between man and his land. shares in the olive arise especially during Hanukkah. it was forbidden to cut down olive tree that ceased to bear fruit. In ancient Greece (olive tree is a symbol of Athena) whoever destroyed an olive tree was sentenced to death. 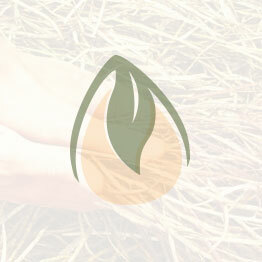 Olive oil also served as a body oil after bathing, cosmetics manufacturing and a medicine. Olives became a symbol of peace and victory, and is widely used for purposes of worship and holy symbol, as well as to jesus himself (The word 'jesus' in hebrew means to be oiled). The palm and fig added sweetness and carbohydrates, in the form of dried figs or dried dates lasted for a long time. The palm tree was the first agricultural trees and constituted an important element of the region's economy prior to the Chalcolithic period. Although the word Plam is not mentioned in any verse, in the Talmud it was said: "honey- these are dates". Grape vine provided food, raisins, and of course wine, which became an integral part of the social life and religious ceremonies. This is the world's oldest alcoholic beverage. The Bible tells us that it was invented by Noah "Noah, a man of the soil, proceeded[a] to plant a vineyard. 21 When he drank some of its wine, he became drunk and lay uncovered inside his tent" (genesis 9). Pomegranate also served as a source of both food and wine. Pomegranate, packed in syrup and multiple nuclei, was a common symbol of human fertility, and thus shaped ritual tools, such as vases, pendants and rods in the form of pomegranate. Ritual importance is evident from the fact that the garments of the high priest were decorated with pomegranates (Exodus 28). Only recently findings in Jerusalem excavations found gold pomegranate that identify it as a decoration that adorned the clothing of the High Priest. Seven species ripen throughout the year, from spring to maturing wheat and palm olive ripening early autumn. The importance of the different species to the people is not the same. Grain (wheat and barley), the grape vine and olive oil, last long time, were the most important of the seven species. Many archaeological excavations revealed silos, grain and large jars for oil and wine. This trio, which provides the basic food groups, where and repeat 16 times in the Bible, such as: " they will rejoice in the bounty of the Lord- the grain, the new wine and the olive oil." (Jeremiah 31, 11). At least six of the seven species (except pomegranate of unknown origin and his 'wild' relative long extinct) originally wild plants of the country that have been domesticated. The best known example is the wild 'wheat', which was found by Aaron Aharonson in the early twentieth century near Rosh Pina, Israel. Crops were based on local flora and fauna. To date, few can identify ancestors crops, which have been raised during the New Stone Age. It is generally believed that the domestication of the olive, along with grape, fig and palm, was one of the first components of the agricultural revolution. Work on the land was the basis for the organization of life and religion in the Land of Israel during the First and Second Temples. The perception was that all natural gifts come from God, and no person may benefit from what earned him the heavens. "Honor the Lord with your wealth, with the firstfruits of all your crops; then your barns will be filled to overflowing, and your vats will brim over with new wine." (Proverbs 3, 9-10). Hence the charge dedicate the fruits of trees and grain-field ripening to bring them as first-choice, namely to the Temple. "26 “Bring the best of the firstfruits of your soil to the house of the Lord your God." (Exodus 34). The Seven Species are used as a decorative motif in different places. Mosaics of many synagogues have paintings of the seven species. Many ancient coins from different periods had drowned wheat, olive branches, grapes, pomegranates, dates, and palm trees with seven species. Also the symbol of the State of Israel includes olive branches beside the “Menorah”. Translated from yehuda feliks writer article.